When a bus crashes, there is always an investigation that ensues. The purpose of such an investigation is (primarily) to determine what caused the particular bus to crash and how did any injured plaintiffs sustain their injuries. This is important not only to injury plaintiffs who need to prove how any number of defendants caused their injuries but also to government leaders and industry professionals who need to know how to prevent similar incidents from occurring. A bus accident investigation can be carried out by several agencies from all levels of government. In addition, injured plaintiffs and their attorneys may also carry out their own private investigations. Each bus accident investigation can take weeks – sometimes months – before conclusive results can be reached. Bus driver’s account: The bus driver is likely to be one of the first individuals who are interviewed, as he or she likely has the most information about what happened immediately before the crash. Passengers’, other drivers’ accounts, or eyewitness accounts: Investigators will also want to speak with other drivers or passengers involved in the crash as well as any eyewitnesses to see what they observed or heard just prior to the crash. These statements may corroborate and support the account the bus driver provided, or they can suggest to investigators that the bus driver is being less than truthful. Blood tests of the drivers involved: In most cases, a bus crash will prompt investigators to ask for blood samples from the bus driver and every other involved driver. This is almost guaranteed when there has been a fatality. The blood test’s purpose is to detect the presence of alcohol or other impairing substances such as illegal drugs or prescription drugs. These results can help support or dispel one possible cause for the accident. Cell phone records: Investigators will want to obtain the cell phone records of the bus driver and other drivers to determine whether anyone was texting while driving or using their cell phone immediately before the crash. This is important because even if a bus driver did not cause a crash (say someone pulled out in front of the bus), a bus driver’s momentary distraction by an incoming text may have been the difference between passengers suffering moderate injuries and passengers suffering severe injuries. The bus’s onboard data recorder: This is a device found in most cars, trucks and commercial vehicles that records certain measurements in the moments immediately before a crash. Data such as the bus’s speed and braking would be contained on this device. If an injured plaintiff wants to review this information, his or her attorney must usually make a formal request that the data recorder and its information be preserved. Bus driver’s logbooks: Commercial drivers are required to keep certain records including the time they spent on duty and the time they spent off duty. The bus driver’s logbook may be important in showing that the bus driver was either driving over the maximum hours allowed, was fatigued, or was lying to investigators due to conflicts between the bus driver’s statements and the logbook. Reconstructionists and engineers: If there is doubt as to the cause or sequence of events in an accident, specialists who are able to “recreate” a crash from clues on the ground may be consulted. 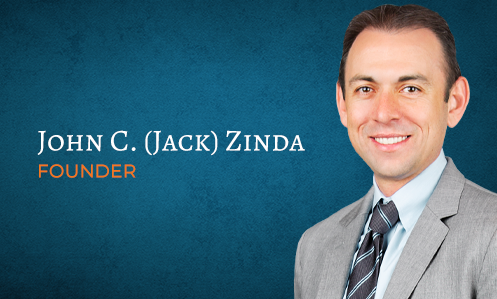 At Zinda Law Group, we believe a thorough and comprehensive investigation is essential to building a solid case and to being in a strong negotiating position in the event a settlement is pursued. Let us discuss with you how your bus accident case can be investigated and how the results can be used to help you obtain compensation for your bus accident injuries during your free initial appointment. Contact us at (800) 863-5312 today to schedule one.